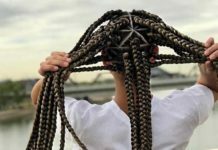 It was a staple hair styling technique of the 1980s and 1990s and not hair crimping is making a major comeback, but with a contemporary twist. Decades ago the style was all about super sharp crimps, and massive volume, thanks to some backcombing and a huge amount of hairspray being thrown into the mix. This time around, crimping has become a lot softer, and with crimping stylers being much more effective than those of 30 years ago, there is no need for endless styling sprays. 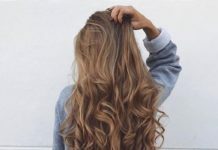 Additionally, crimpers come in a variety of widths these days, so you can choose chunky waves or very fine little crimps, or even a combination of both. 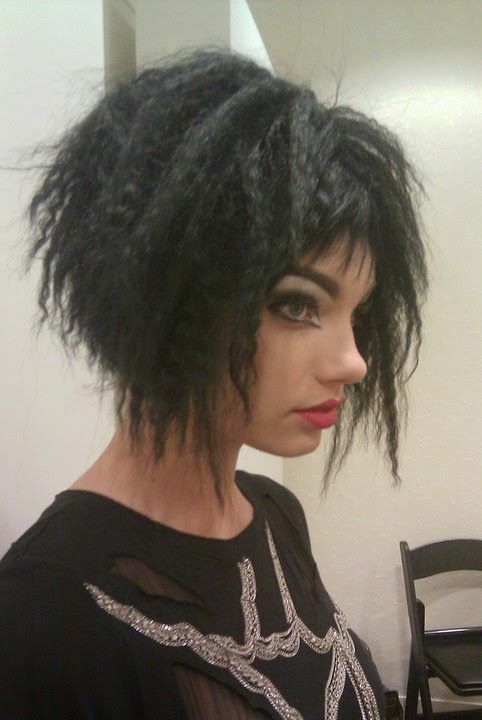 There is so much experimentation and versatility to be had with crimped hairstyles. 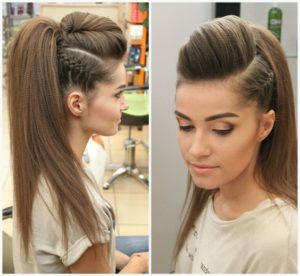 You can crimp just a few sections of hair to add detail, or you can crimp the hair all over and leave it loose, or style it into a beautifully textured up-do. Need some more inspiration? 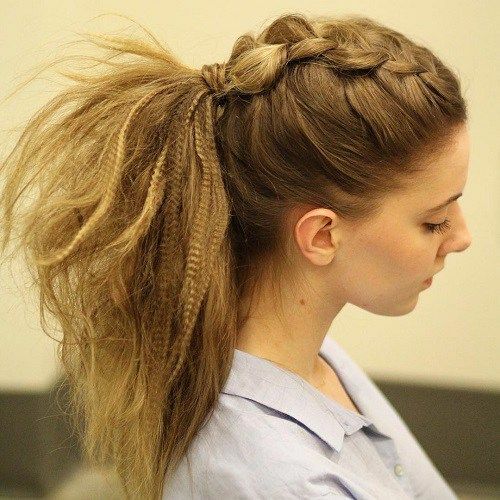 Check out some of our favourite crimped hairstyles. You don’t need to go all out with the crimper. 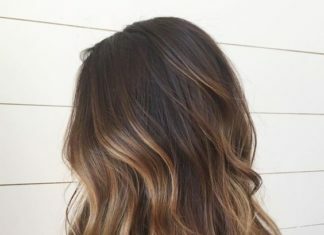 Instead, you can just add a touch of the effect to your hair to create some texture. This blunt bob with bangs in fantastic green tones has been crimped in a few random sections to add shape and body. Laidback and cool. These days there are wide barrelled crimpers, which create more of a wave effect when used on the hair. These long, dark chocolate looks have been crimped through the mid-lengths to create movement and a touch of extra body. The waves have not been combed through so they remain defined and super glossy. 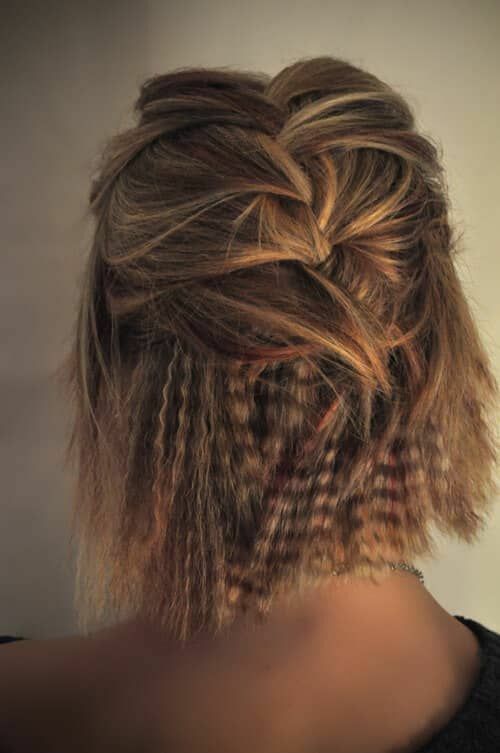 Crimping is a great way to add body and texture to the hair, which is ideal for creating up-dos. 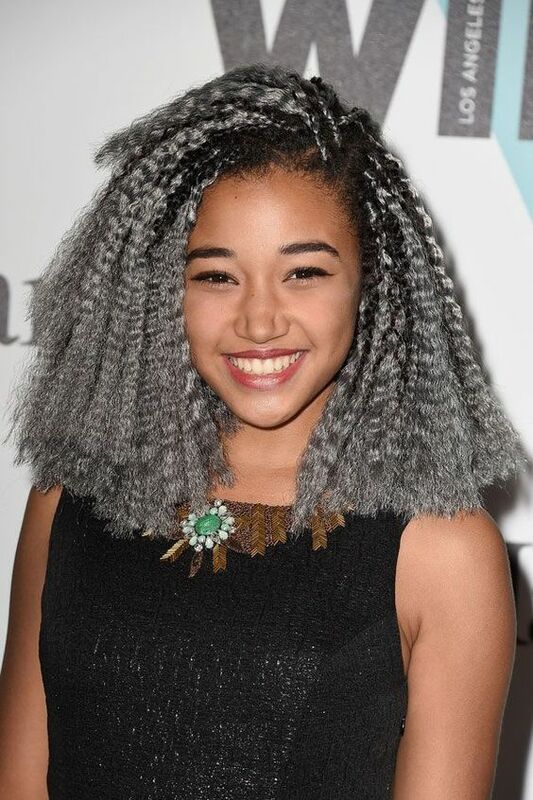 This pastel messy bob has so much impact and volume thanks to crimping through the lengths and partially combing through the lengths. 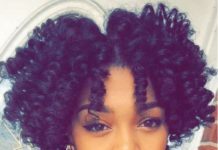 A great relaxed hairstyle for everyday wear. Ladies with fine hair can finally have the chunky Dutch plait of their dreams by simply crimping the hair before braiding. 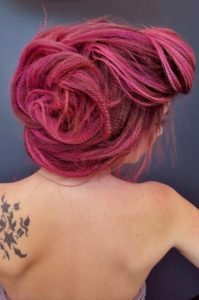 The extra body added to the hair results in a bouncy and fluffy braid that even has a slight mohawk effect. 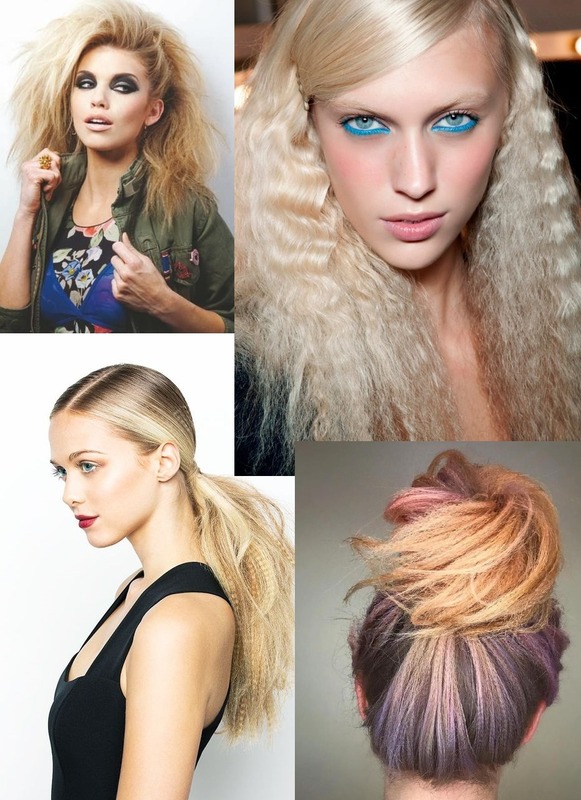 Crimping gives hair such a great texture and unrivalled body. 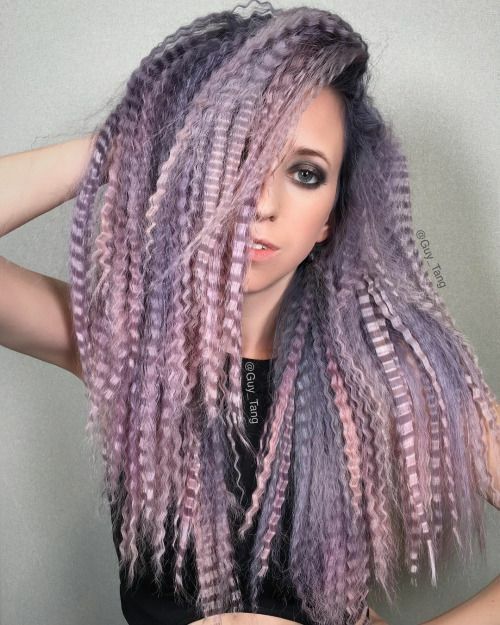 Each different lilac and purple shade of this multi-tonal hair is shining through thanks to some strong crimping through the lengths. A light mist of a firm hold hairspray will help to keep your mini waves in place all day long. This ebony graduated bob has been given a grunge twist by crimping the lengths all over, which has given lift to the shorter layers to the hair. The matte finish, super short bangs, and tough styling have given this crimped hairstyle some real edge. Awesome look. Even the simplest of ponytails can be completely transformed by crimping through the lengths. The finest hair can be given a huge boost in volume by crimping as evidenced in this wonderfully textured ponytail with feed-in Dutch braid. Crimped hair has great grip, which will mean it will hold all texture when backcombed, particularly if a little salt-water spray is applied first. Crimping is such a versatile styling technique. By crimping sections of the hair, these top knots will be so much easier to style and pin in place, thanks to the extra grip given to the hair. The juxtaposition of textured top knots and sleek lengths is so fresh and youthful. Add some extra interest to your waterfall braid, by crimping just the loose ends of the braid. 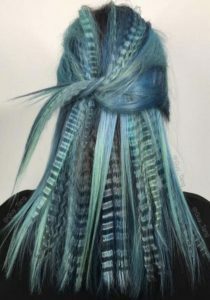 The waterfall braid already has a wonderful fairytale feel to it, and the crimping only adds to it. Ethereal and beautiful. The mixed textures of this honey blonde bob are absolutely stunning. The combination of tousled and crimples lengths creates such an interesting and edgy effect that is completely unique. 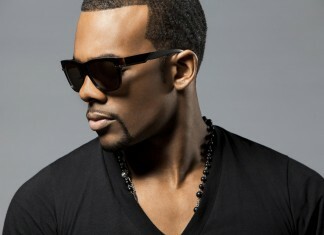 Smoothing down some of the hair in the side-part really does emphasise the beautiful and carefree texture of the hair. When you brush through crimped locks you get this absolutely wonderful fluffy texture that is otherworldly. 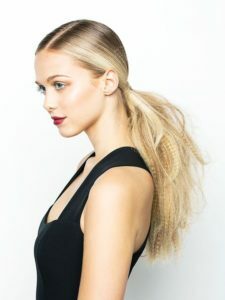 This highlighted crimped hair is almost like a lions mane and will look just as good flowing free, partly slicked back into a ponytail, or styled into an interesting up-do. 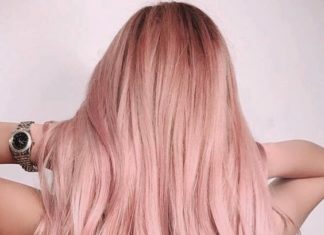 Crimping is such an effective styling technique for multi-tonal hair as it thickens up the hair, which gives even the thinnest slice of colour to shine through. Each bold colour of this crimped halo braid is well defined – from baby pink to rich violet to powder blue. Lovely texture too. 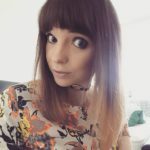 The fine hair of this choppy bob has been given some extra body and depth, thanks to a relaxed half braid and the crimping of the loose, blunt lengths. If you want to add body to fine hair without crimping all of the hair, just crimp small sections at the roots for a super boost in volume. The 80s styling technique can even be utilised to create some stunning hairstyles. 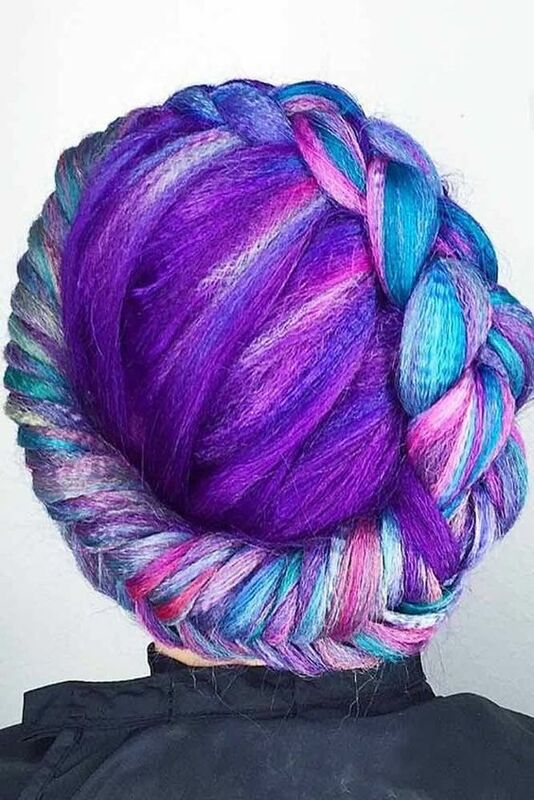 This unicorn-style dyed hair has been given an extra touch of magic, by crimping the entirety of the hair and showing off the texture and colour in a beautifully braided up-do. 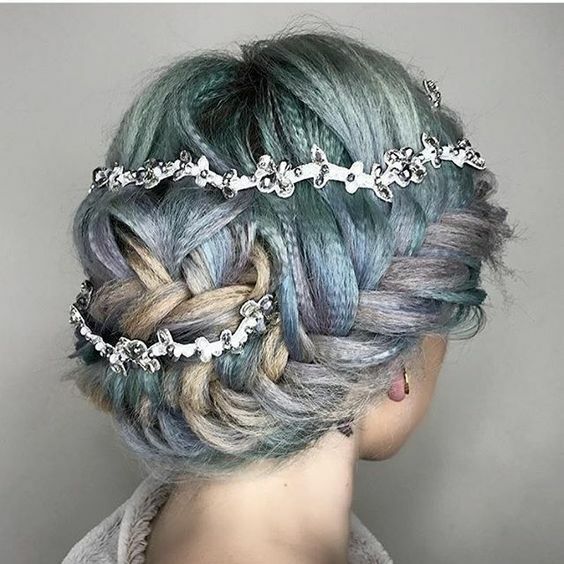 A bridal style with a unique twist. As previously mentioned, crimping the hair gives it grip and texture, which means that there is plenty of scope for experimentation. Create your own avant-garde crimped hairstyle by playing around with your locks, pinning and styling until you create a shape and style that you love. This beautiful and carefree beachy texture has been created using crimpers of different widths, and the result is just stunning. So youthful, and with a Bohemian vibe, this crimped hairstyle would be perfect for festivals – can’t you just imagine it with a floral crown? A crimper with a really small width has been used to give so much extra volume to this hair, without creating too much texture. The smooth locks have been styled into a super cool rock chick style, with pompadour bangs that have been accentuated with the tight Dutch braids at the temples. The angular shape of this blunt bob is simply phenomenal and has been achieved by keeping the crimps at the roots tight and defined and brushing through the crimps through the tips. Gorgeous! 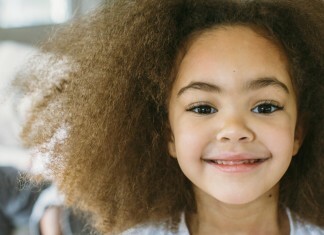 Crimping was the hair styling technique of choice in the 1980s, the decade where hair was teased and backcombed to within an inch of its life. Killer volume still works as well today, just keep the teasing and wet-look gel to a minimum. The matte texture and contemporary styling make for a statement look that just a touch of the eighties to it. The ocean blue tones of this hair are just gorgeous, The mixture of midnight blue, turquoise, baby blue, and deep teal have given great depth to fairly fine hair. Furthermore, the mixed textures of poker straight and crimped sliced of hair gives a great deal of visual interest. 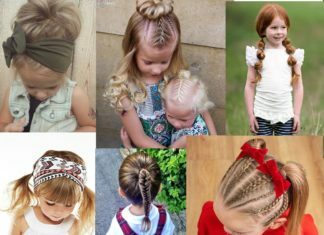 Any type of braid can be given an extra boost if you crimp the hair before plaiting. 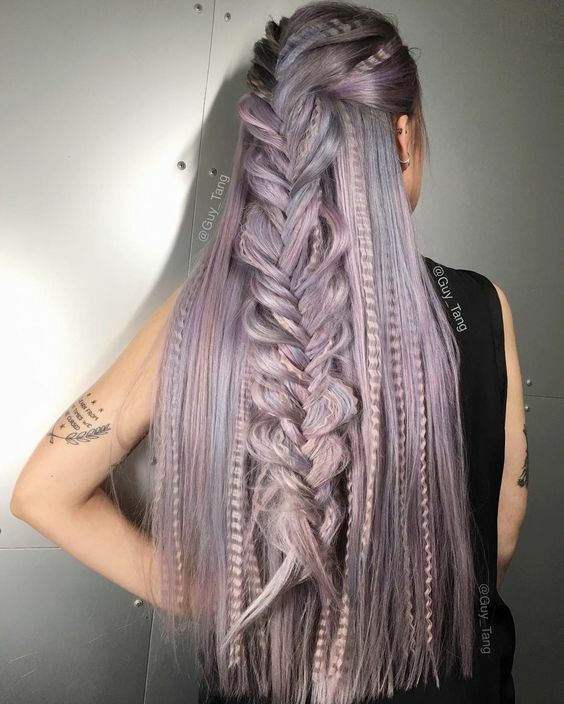 The pull through braid is such a stunning style, but if you have thinner hair, it can be hard to create this style as you simply don’t have enough hair. 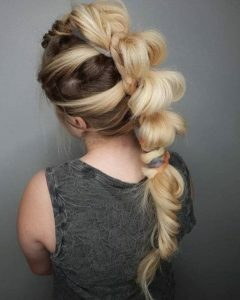 Crimping your locks will change all that and you can create some truly stunning braided hairstyles. There is something so polished about this crimped hairstyle, thanks to the incredibly smooth parting that leads into crimped lengths. It is a simple style that makes a real statement, perfect for a night out or special occasion. The sleek low ponytail is the ultimate when it comes to daytime chic. Amp up your low ponytail, by crimping some sections through the lengths and backcomb to create your desired texture – big and bold, or soft and subtle. 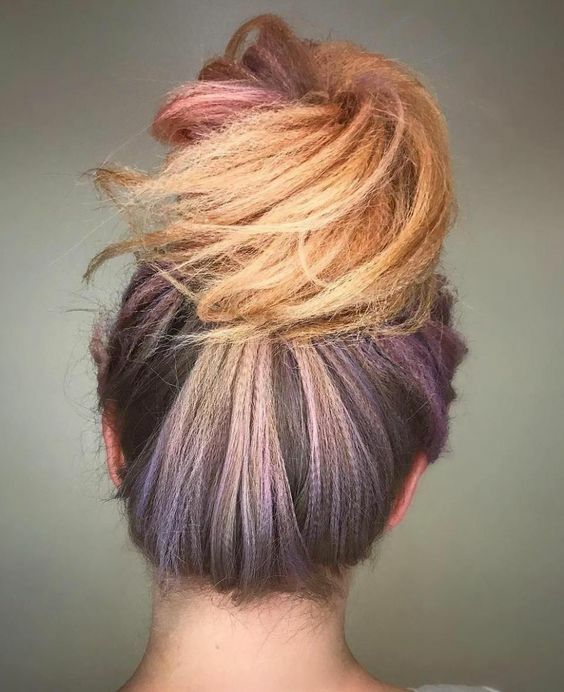 This hair is an absolute dream. The long lilac and silver locks are so stunning and the crimping of just a few sections of hair throughout the lengths, give the hair a wonderful depth, whilst also helping to hold in the half fishtail braid that cascades down the model’s back. 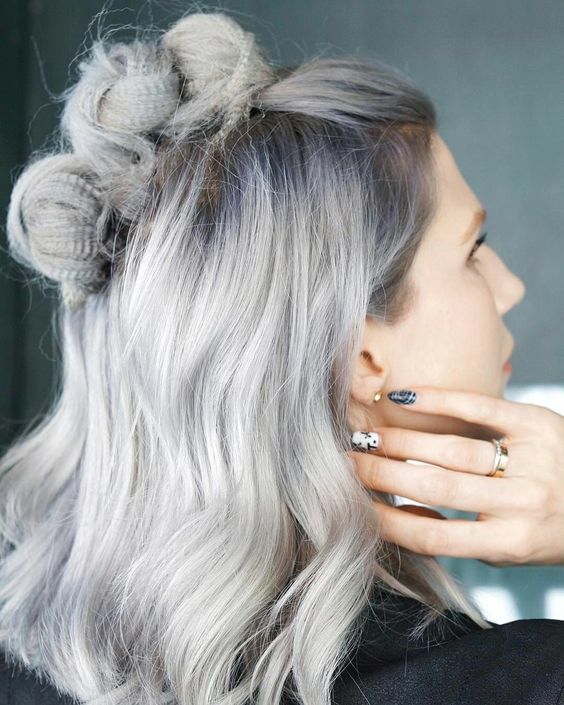 Major hair envy right here! If you are looking for a completely unique hairstyle for prom etc. that will make you stand out from the crowd, then look no further. 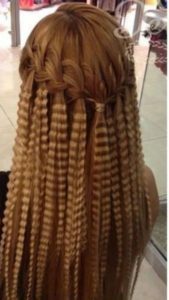 A few different sizes of crimping iron have been used to create larger waves toward the roots graduating down to smaller waves at the tips. So effective, don’t you think?